​Today I want to make a LED Scroll Bar as the above picture showed. 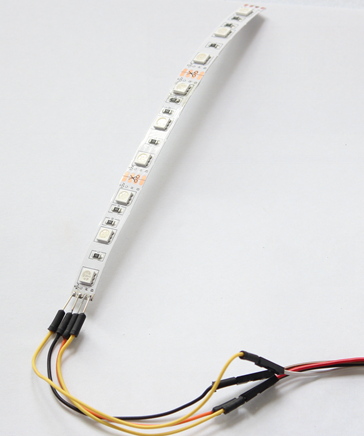 Ten LED strips can flash in different effects by using a control board. LED strip, Arduino Nano, Dupont line and a control board. So, how to make a LED Scroll Bar? 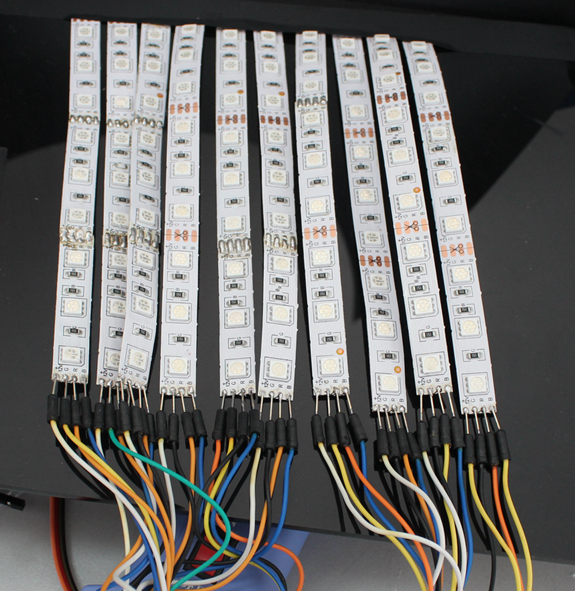 Cut the LED strip into 10 pieces and each piece has arbitrary number of LEDs. Then, weld the traverse at an interface of the LED strip. Here I prefer to use Dupont line to connect. 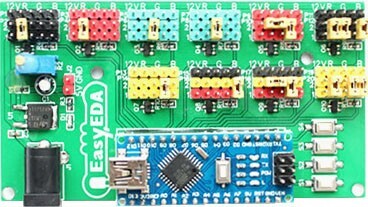 Make a control board. 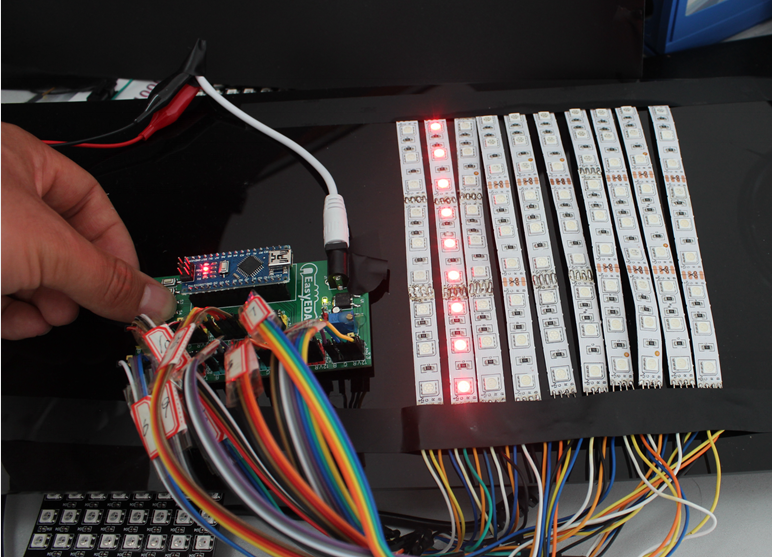 Using the control board to control the flash pattern of LED strips. 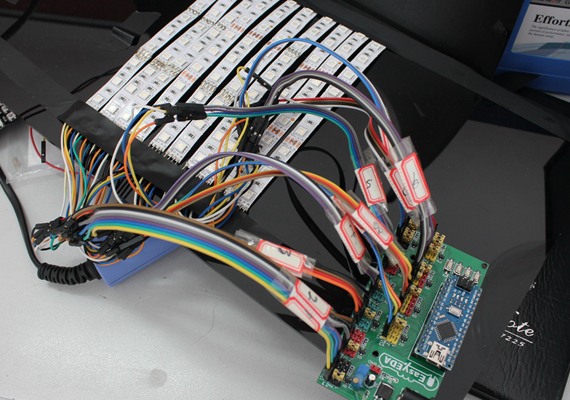 Aided by Arduino Nano and equipped with a keypad, we can make the LED strip flash in different patterns. 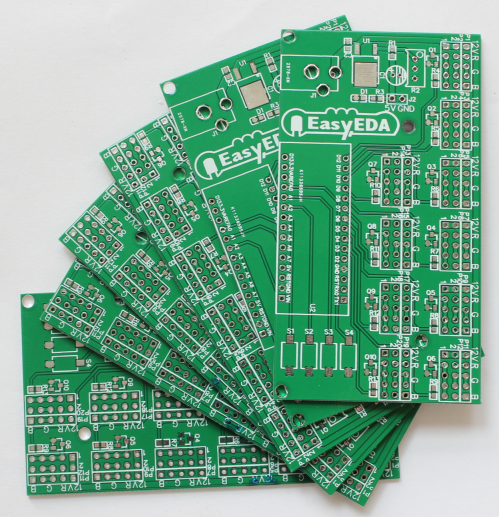 To design my circuit, I choose a free online EDA tool called EasyEDA which is a one stop design shop for your electronics projects, offers schematic capture, spice simulation, PCB design for free and also offers high quality but low price Customized PCB service. There are a large number of component libraries in its editor, so you can easily and quickly find your desired parts. 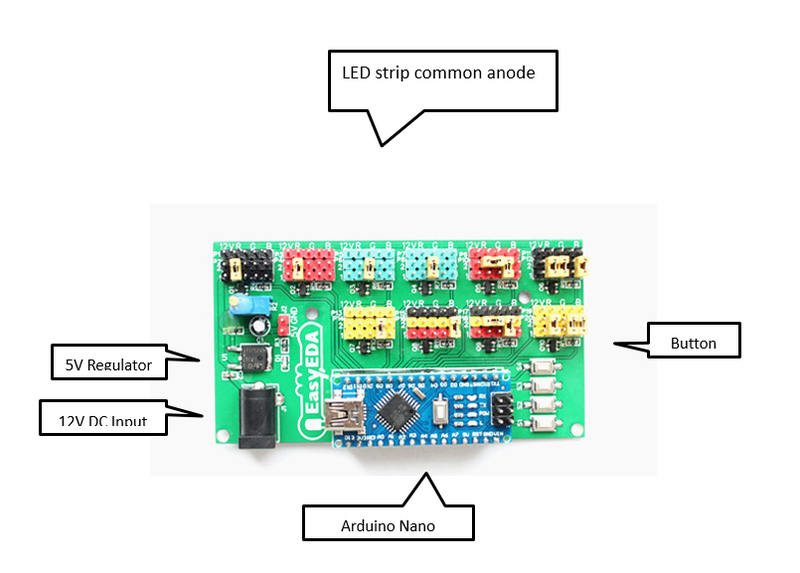 Notes: The voltage of the LED strip is 12 V and Arduino Nano is 5V. Please remember to add a power regulator such as AMS1117-5.0. Step 2.2 - Create the PCB Layout. 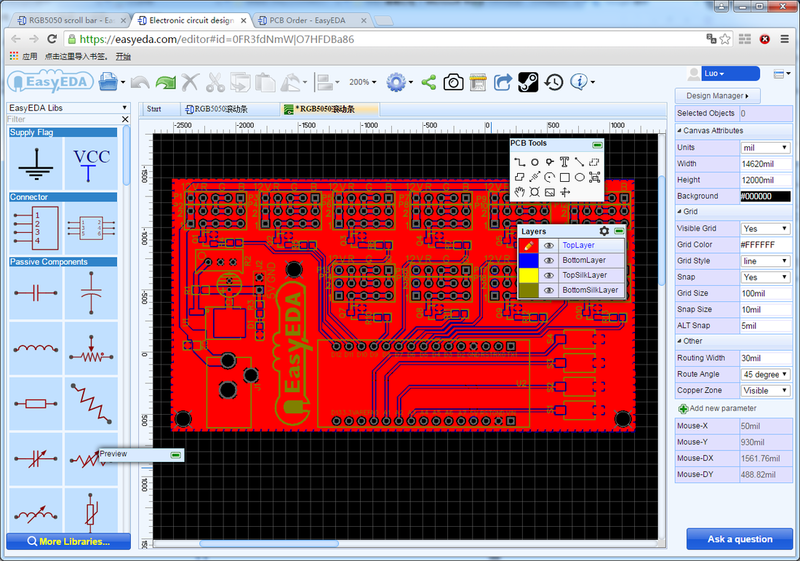 After complete the design of PCB, you can click the icon of Fabrication output above. 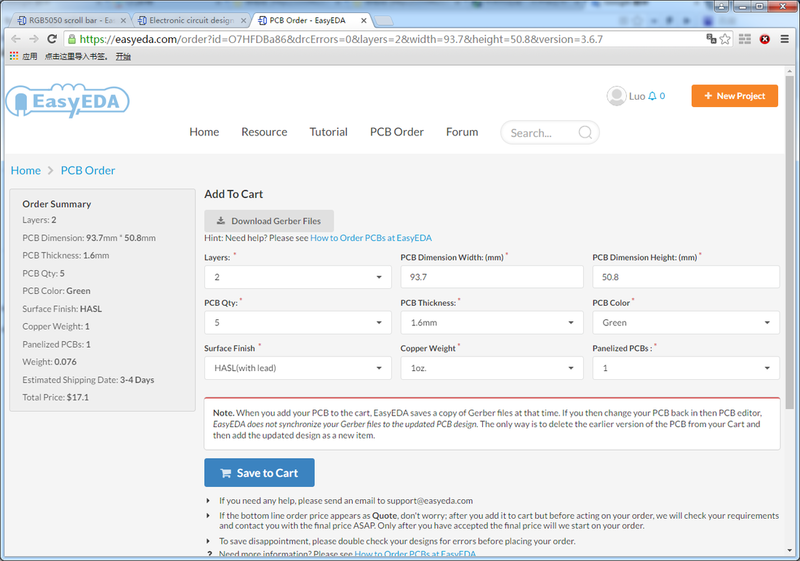 Then you will access the page PCB order to download Gerber files of your PCB or send them to any manufacturer, it’s also a lot easier (and cheaper) to order it directly in EasyEDA. It is very easy to make a control board. Just as the following picture described, as soon as the components are welded, it is completed. 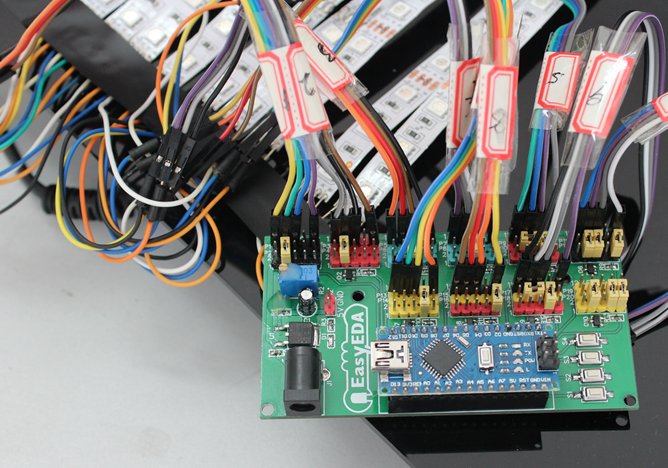 Connect the LED strip to the control board and at the same time please pay attention to the positive and negative of the terminals. As the picture showed below. 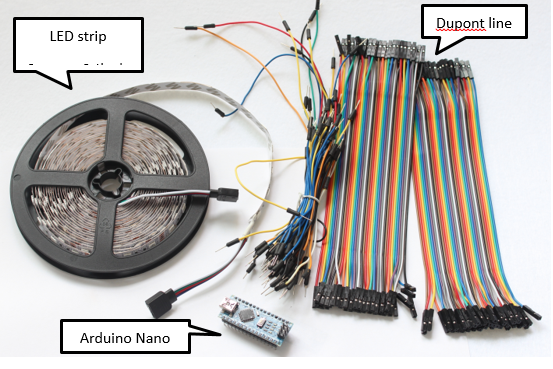 Connect it to a 12 V power supply, download a program on the Arduino Nano and run it. Press the button to switch flash mode. 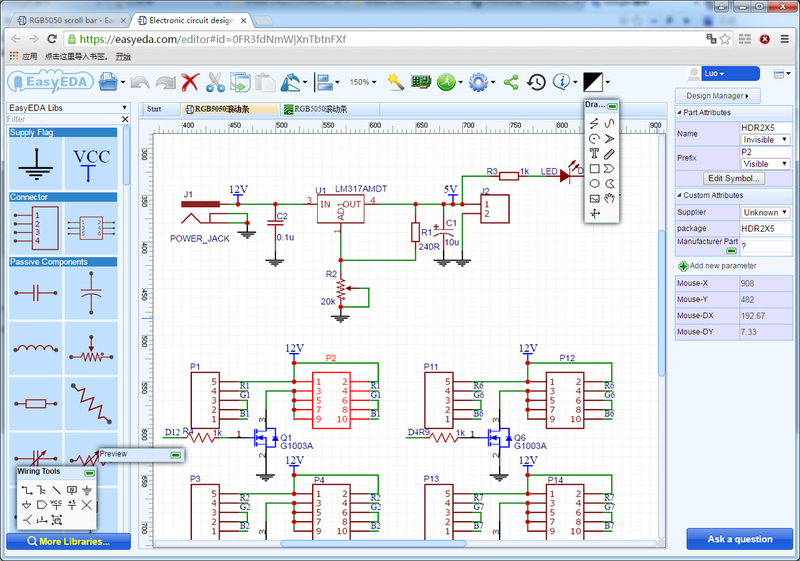 If you want, you can clone my LED Scroll Bar Schematic and PCB here. Now I completed my project of scroll bar. 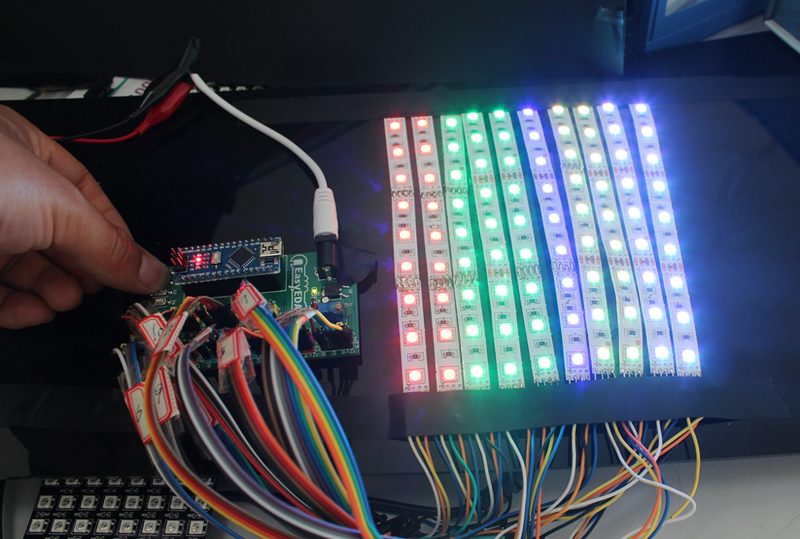 Making your own LED Scroll Bar creates a lot of fun, and the results can be very rewarding. Hopefully this article will help you make a LED Scroll Bar, You can also write a program to make the LED strip flash in the way you like.